I have included few very secret Mudras that have been practicing in Tantra and Kriya Yoga. Complete Hand Mudras: This is my first book, it will reveal the positive energy and calming powers of Mudras, playfully referred to as finger power points�.Mudras can be conveniently practiced anytime, anywhere, and in any position – sitting, lying down, walking, or even while watching TV. Mudras are a part of holistic healing Ayurveda. 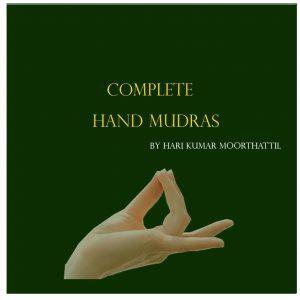 In this book, I have explained, how mudras help to relieve stress and prevent illness,re-balancing the body to its natural state.Mudras not only work on the body but also on one’s mind and emotions.The techniques help in rejuvenating one’s personal energy, hence improving the quality of life. I have been healing through mudras for the last seven years. I had met so many experts in the field of Yoga and spirituality to know more about healing powers of mudras. They shared a lot of information about healing mudras and few secret Mudras for spiritual enhancement. I included that information in this book. 58 Healing Mudras with pictures and how it works. Mudras for activating Kundalini Shakti. Mudras for attracting metrical wealth and success. Emotional Mudras and how it works. Secret Mudras to activate and manifest Mystic powers. This book is color printed with mulch color photos. 120 pages with 150 pictures.